Ready for a change? Ready to share the yoga you love with others? Or maybe you just want to learn about how and why we do yoga? (This course is not just for teachers but for anyone who wants to deepen his/her practice.) Dive in! Now’s the time! We all know that yoga’s popularity keeps on growing. And as students learn more, they are seeking out better teachers who can attend to their individual needs and help them to advance in their practices. Allow Lois Nesbitt, one of the world’s most experienced teacher trainers, bring out the teacher within you! And star Hamptons teacher Jessica Bellofatto will join in to share insights from her years of practice and teaching. This training is packed with the wisdom and skills you need to stand out from the crowd. This hands-on course will give you all of the tools to grow into a truly gifted teacher. Not planning to teach? Our Deepening Your Practice option allows you to participate fully in this course without the commitment to becoming a certified yoga teacher. The course is packed with great tips on how to practice, why there are so many different styles of yoga, where yoga comes from and why it’s so popular today—all things that will take your understanding and your practice to the next level! 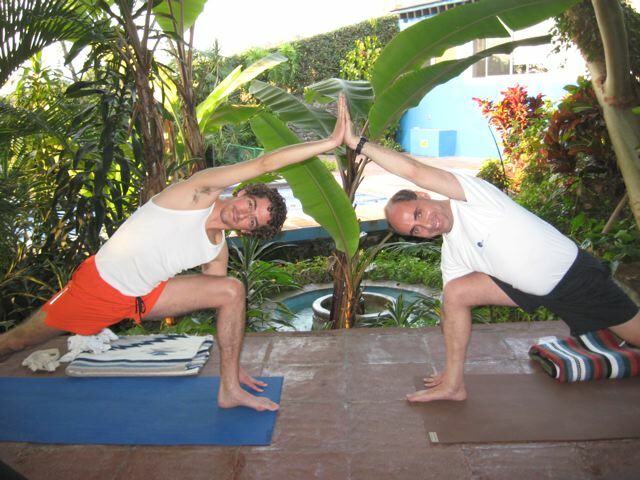 Or, just opt for the Yoga Immersion and enjoy the first 3 weekends. 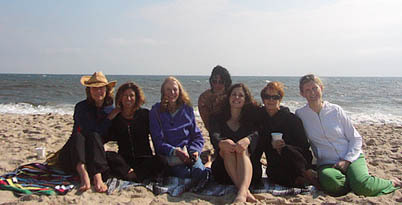 This training occurs as a series of ten weekend mini-retreats set amid the splendor of The Hamptons’ exquisite natural beauty. Between sessions you’ll have time to roam the beach, hike the woods, or simply curl up by the fireside or laze on the porch. Out-of-towners are guided to free or affordable housing. The Hamptons is easily and cheaply accessible from New York City by Long Island Rail Road, the Hampton Jitney (bus), or car. The course is spread out over 9 months to give you time to absorb our teaching techniques and put them into practice. The small-group format insures that you will receive continual supportive feedback and coaching from Lois and Jessica. 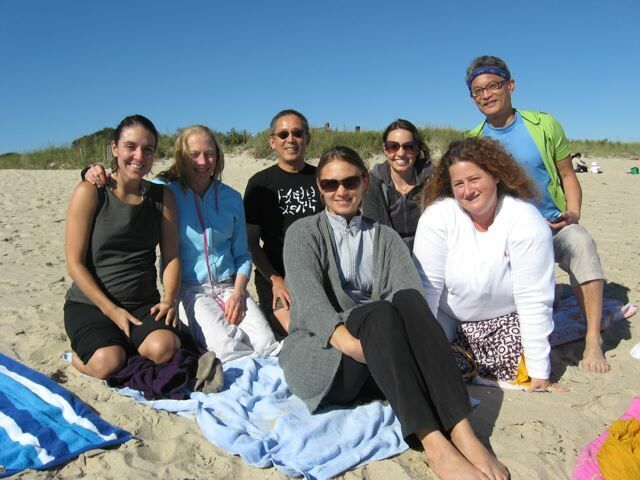 **While our Teacher Training comprises 300 hours of training sessions, classes, and home study, graduates of this course qualify for Yoga Alliance 200-hour Teacher Training (first level) Registration. Those interested in completing a 300-hour Advanced Teacher Training, please contact lois@blueskyyoga.com or (917)975-8009. 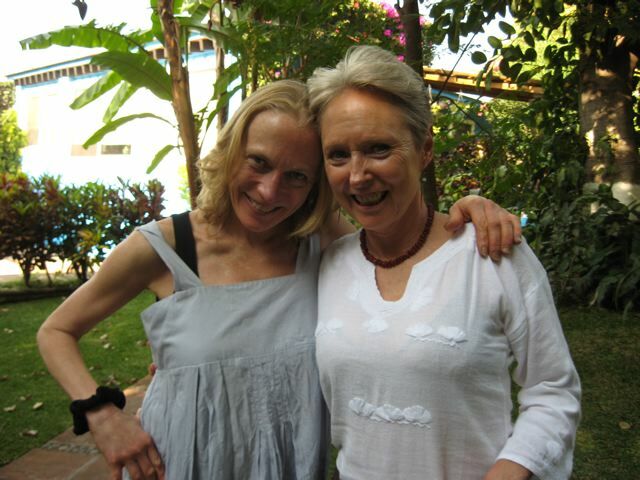 With two decades of practice and study of Jivamukti, Ashtanga, Anusara, and Iyengar Yoga, Jessica and Lois are uniquely prepared to guide you toward practices that will best serve you and your students. In addition to thousands of hours of yoga training, Lois holds a B.A. from Harvard and a Ph.D. from Princeton, and credits her fine teachers at these top universities for showing her how to make the most complex ideas clear and exciting to students of all levels. Jessica, who started out as a dancer in New York City, is a highly accomplished triathlete and even creatively teaches yogis how to practice on standup paddleboards. The two share a lighthearted approach to life that infuses their teaching with playfulness and humor. Space is limited! Do not delay! Applications will be read in the order they are received. Please complete the application form here or www.kamadevayoga.com. Payment plans and work-study/barter options are possible. Please contact lois@blueskyyoga.com or jessica@kamadevayoga.com for more information. Lois Nesbitt has been practicing with and assisting Anusara’s founder John Friend from the beginning. Voted by New York Magazine as one of New York City’s Top Five Yoga Teachers, she is also one of Anusara’s most versatile teachers. While she excels at both asana practice and philosophy, she always finds ways to make the teachings accessible to students of all levels and backgrounds. 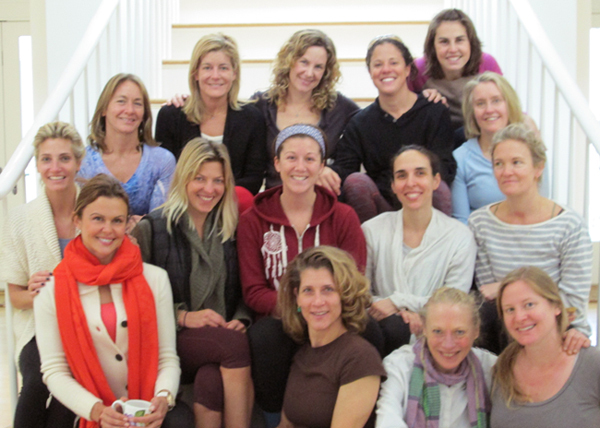 She has led numerous immersions, trained dozens of teachers, and led retreats and workshops around the globe. While based in New York City and the Hamptons, Lois has recently widened her net to share Anusara Yoga with students and teachers as far away as Japan and China. Her twin passions for teaching and for yoga will inspire you to take your practice to the next level!